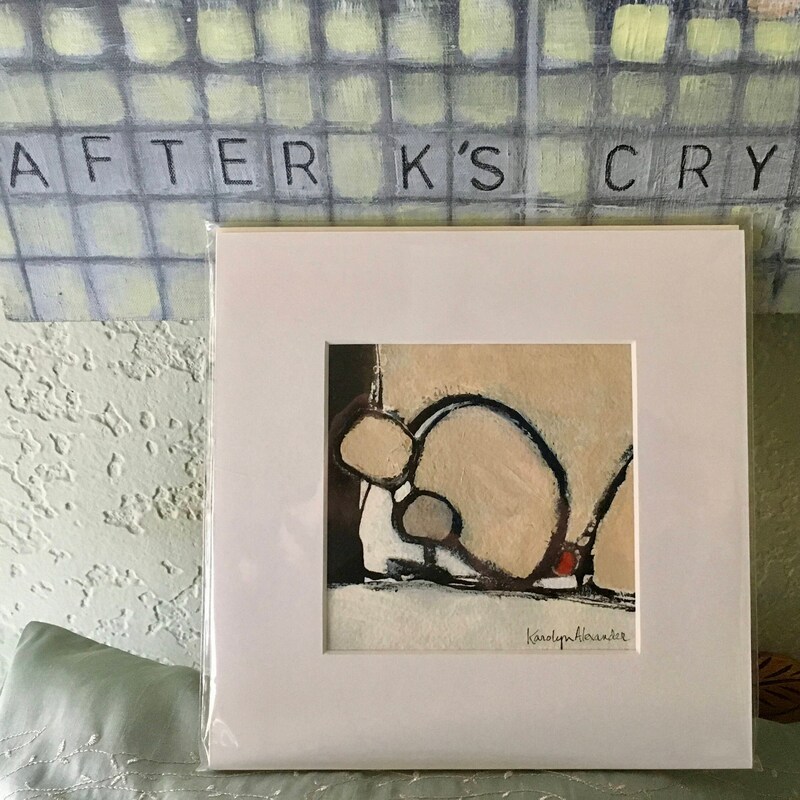 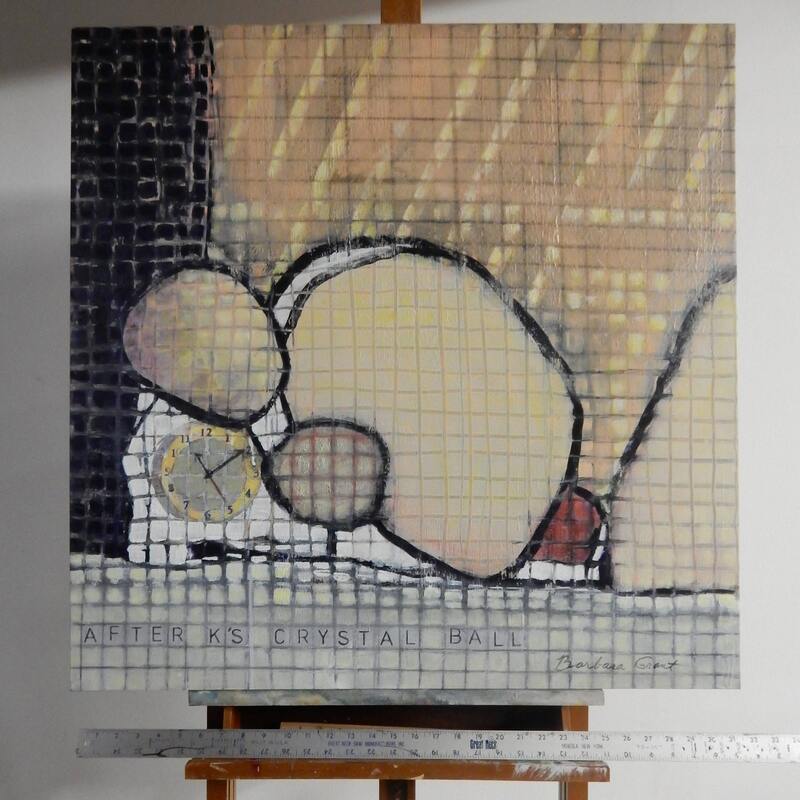 "Crystal Ball" is an original acrylic that I painted after being challenged by artist, Karolyn Alexander, to do a much larger version of her 5 x 5 inch sketch. 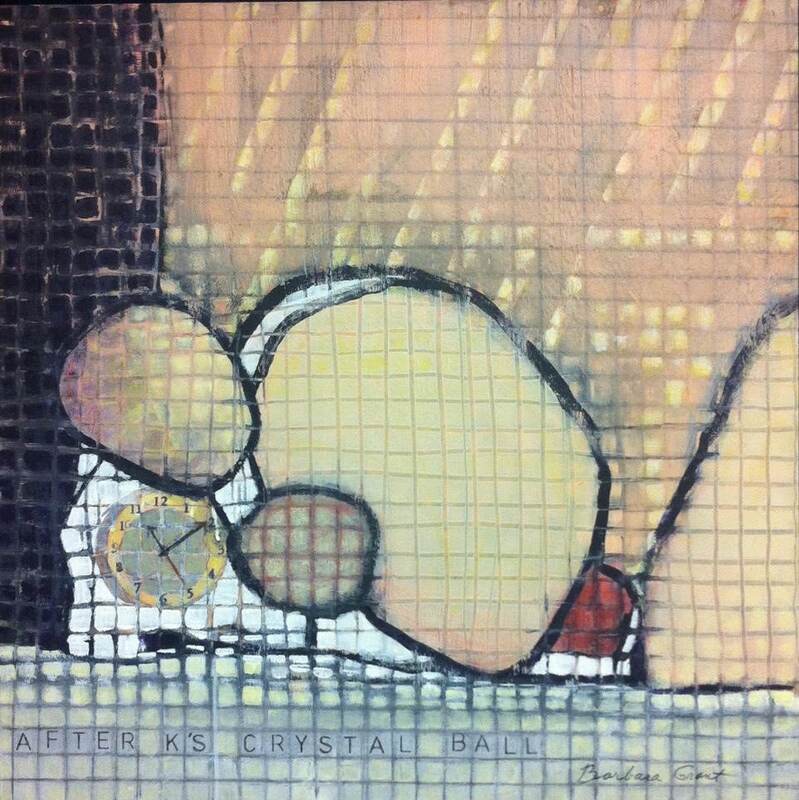 Her inspiration for this composition was a song by Styx called "Crystal Ball". 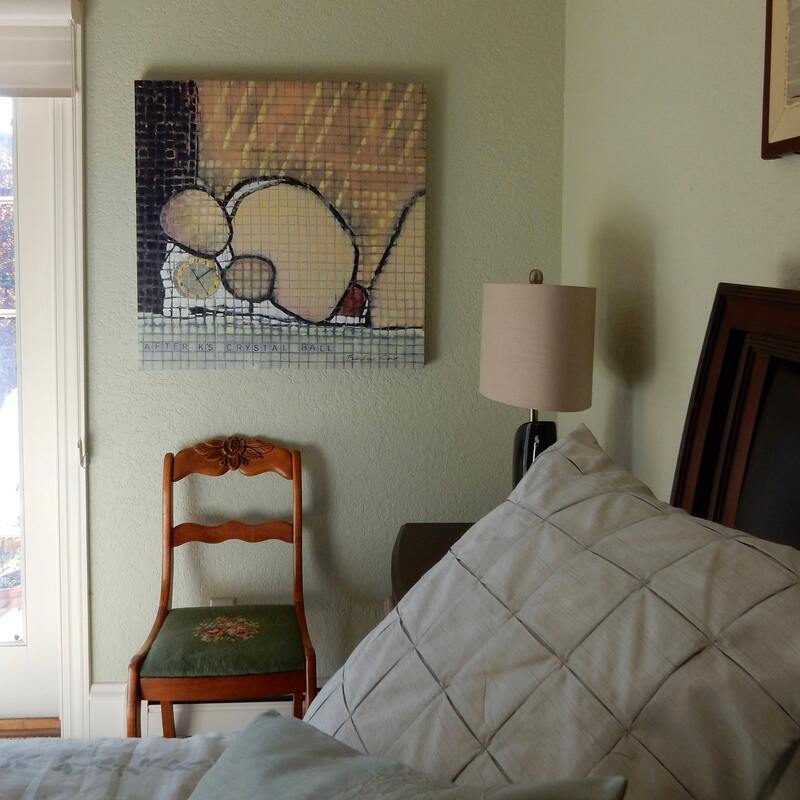 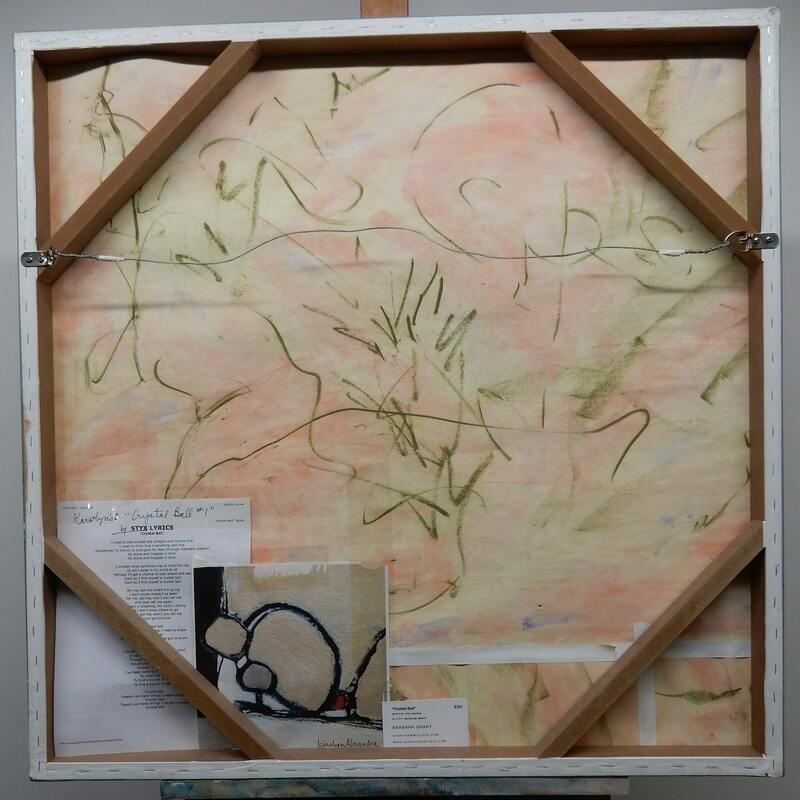 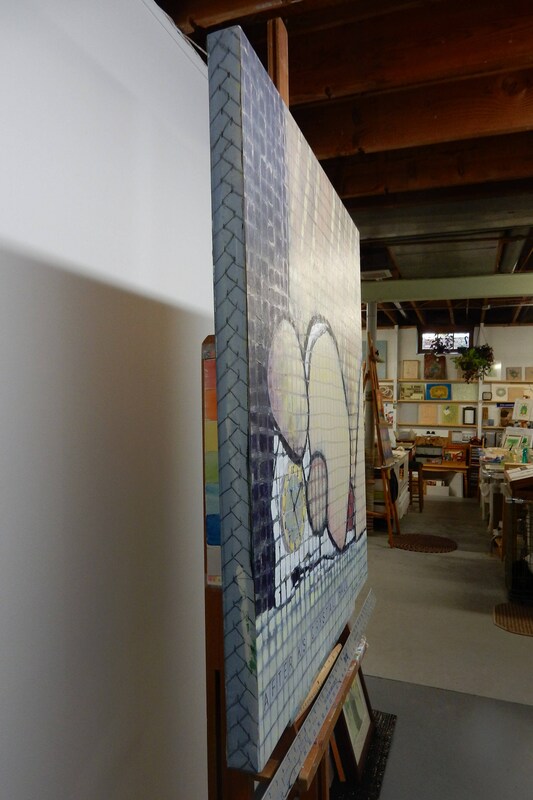 In order to transfer her tiny image to my 33 x 33 inch canvas, I created a large grid on the surface. 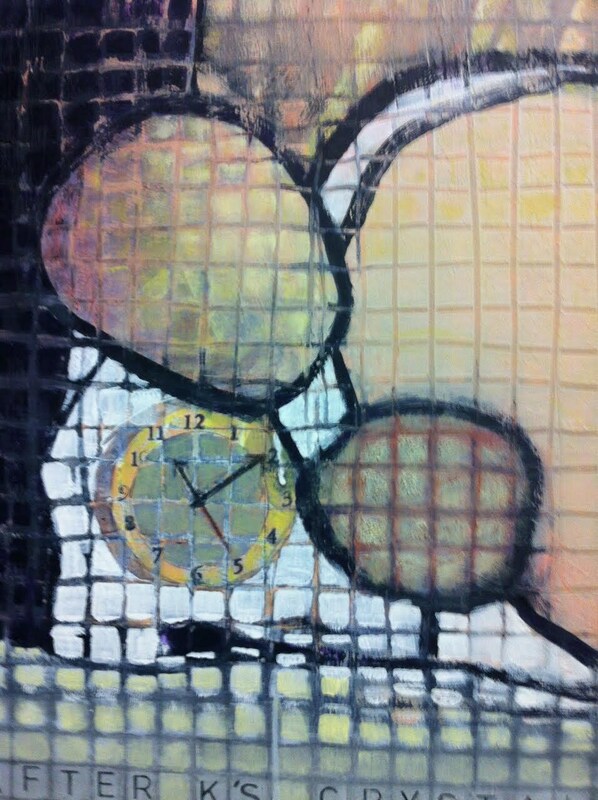 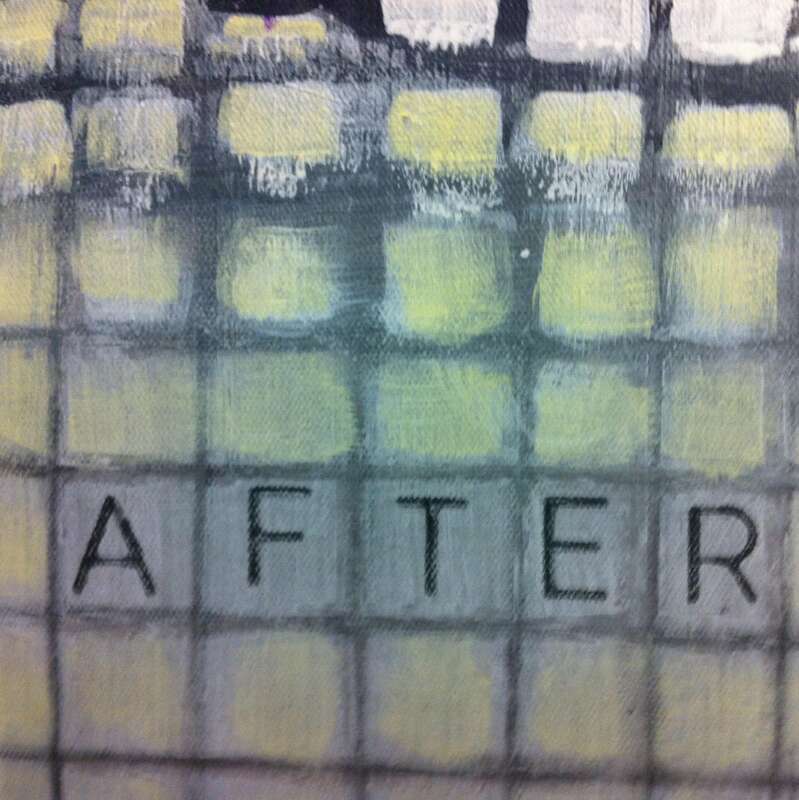 I loved the grid's structure and decided to keep it in my painting. 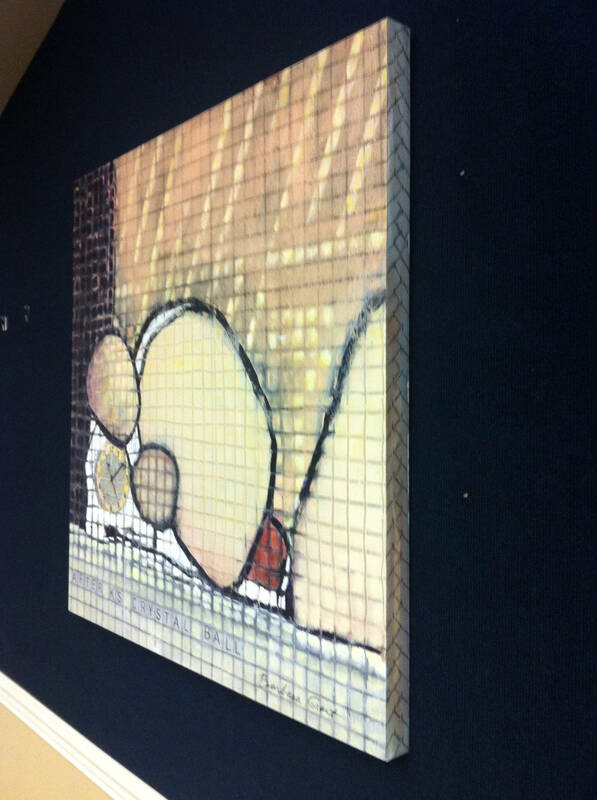 This deviation from the original sketch caused my own invention to emerge. 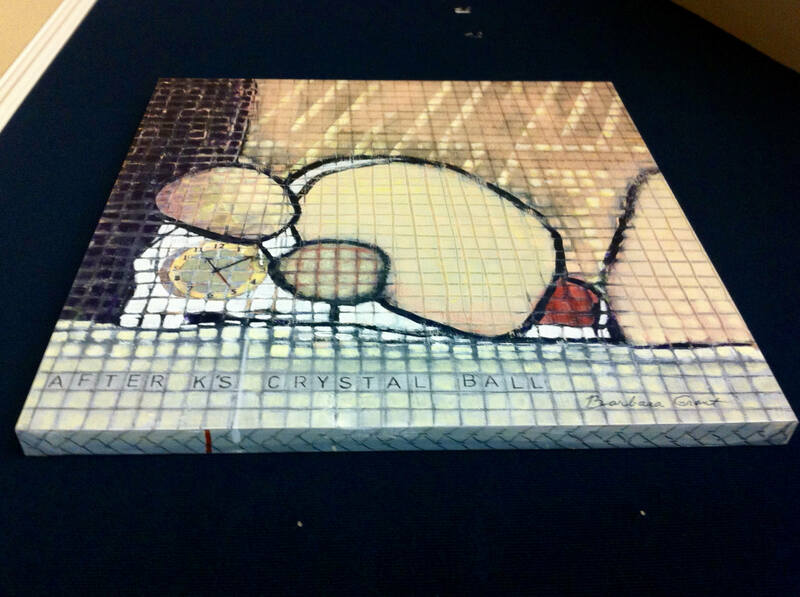 "Crystal Ball" measures 31 x 31 inches, museum wrapped (painted around the edges - no need to frame), wired and ready to hang.